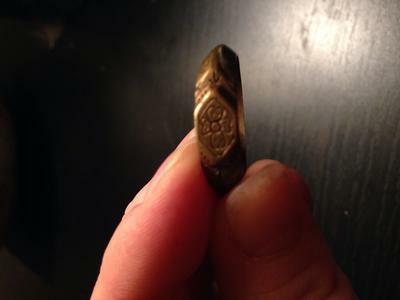 Can you tell me anything about this ring? When my grandmother passed away I inherited lots of jewelry, including things my grandfather had hidden away. I don't expect this ring to be valuable, but would like to know anything about it. It was mixed in with a lot of his WWII memorabilia. So, it's very possible it's from then, possibly German? Or it could have been his father's. He was Italian. All I know is it's definitely a men's brass ring. Thanks in advance for any insight.